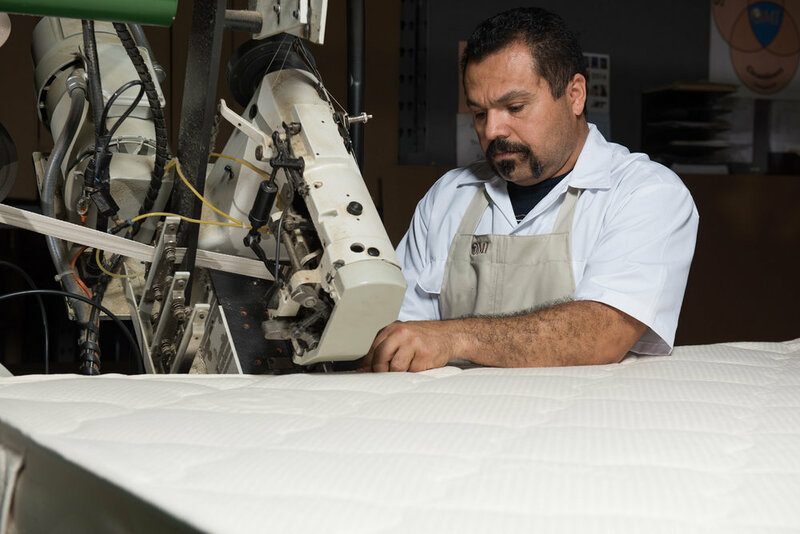 Organic mattresses made in the USA in our ozone sanitized factory. 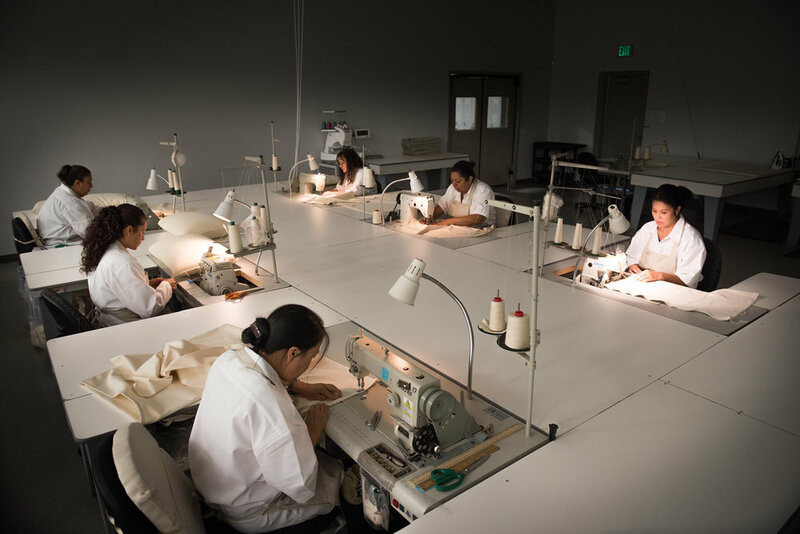 Our Northern California-based Eco Factory is a large-scale certified-organic-sleep-products manufacturing facility where all of our mattresses, foundations, and accessories are manufactured by hand. 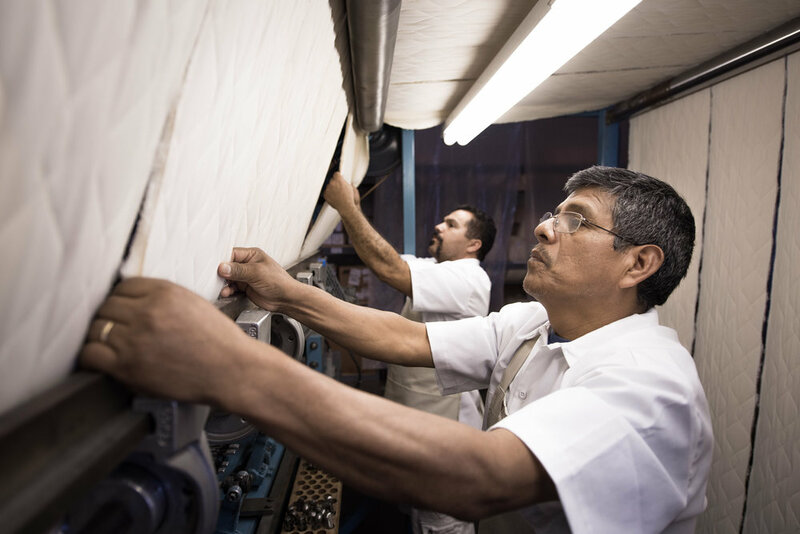 As an organic production facility, it is certified by the Global Organic Textile Standard (GOTS) and is subject to regular audits. OMI's commitment to organic purity runs deep, and producing certified organic products in a non-certified facility would be counterproductive to our goal of creating the purest sleep products possible. We are proud to say we were the first sleep-products manufacturing facility in America to receive GOTS certification. Our factory is strictly smoke- and fragrance-free. OMI's Eco Factory utilizes specially designed, custom ozone cleaning chambers that reduce naturally occurring contaminants such as mold and mildew spores, yeasts, and bacteria that may have "hitchhiked" from the field or storage facility on raw materials. OMI is the only company in North America to sanitize its certified organic wool and certified organic cotton for purity.